A quick, easy, and tasty way to turn odds and ends into a delicious meal! Fried Rice is something I've known should be easy to make. So when I saw this recipe on Everyday Mom's Meals, I featured it on Five Friday Finds to remind myself to make it. I'm happy to report I finally did (only took how long?). How hard can stir frying some rice really be? Isn't it as easy as throwing some rice in a pan and adding whatever you'd like? It is, in fact, that easy. And, it's a great way to use up leftover odds and ends, leading to countless variations. 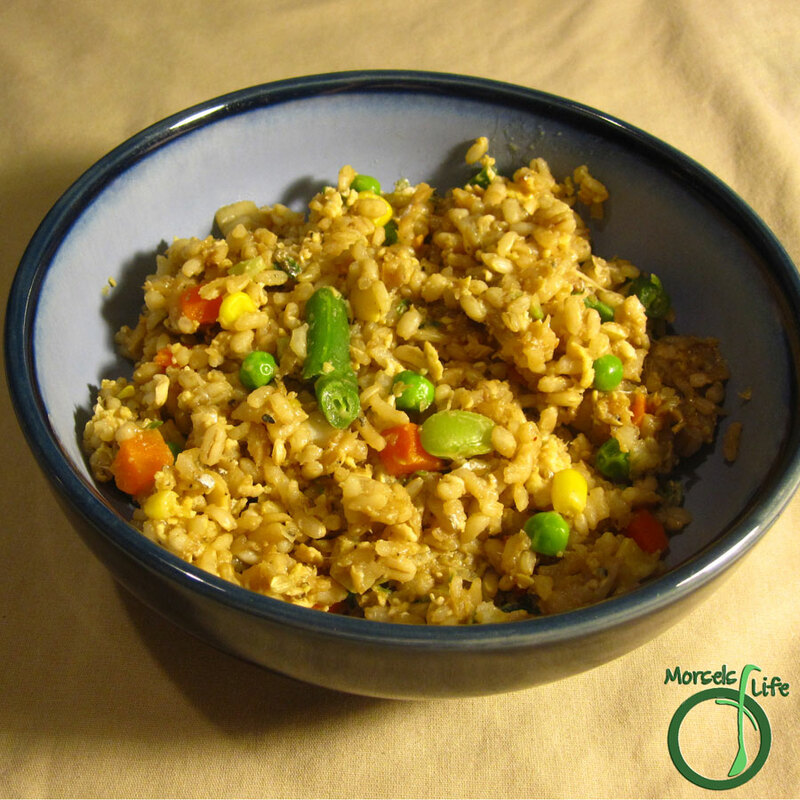 Most common forms of Fried Rice include eggs, scallions, and some vegetables. It's also usually flavored with soy sauce instead of salt, at least for Chinese-style Fried Rice. You can easily use up leftovers since you can throw in just about anything to the mix. In fact, the best rice to use is leftover rice. What's your favorite fried rice? 2 cups rice, cooked and cooled I used equal parts brown rice, white rice, and barley. 1 cup vegetables, diced I used Lima beans, carrots, corn, green beans, and peas. Add in rice and stir fry with eggs for a few minutes, breaking it up as you go. Stir in all remaining materials, cooking until desired level of tenderness reached.